Downhill for 15 miles from the pass to Salida. 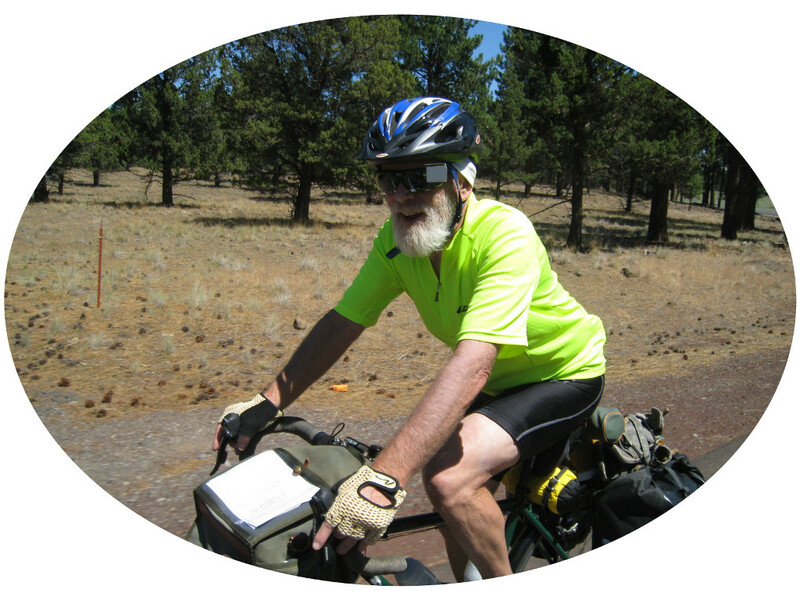 We rode by Andy's house and did some site seeing and had a snack at Bongo Bill's. We stopped at a bike shop where Andy got his "peace" socks. From Salida we rode to Buena Vista. On the way Paul broke another spoke and I somehow messed up my from derailleur. 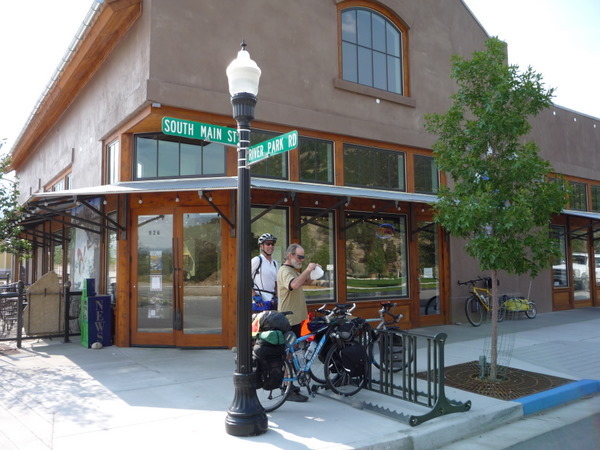 We went to the Trailhead bike shop for repairs. The mechanic there was really good and had us fixed up in no time. After that and a stop to look at the river and a trail, it was on to the Eddyline Brew Pub for lunch.dinner. Very good! 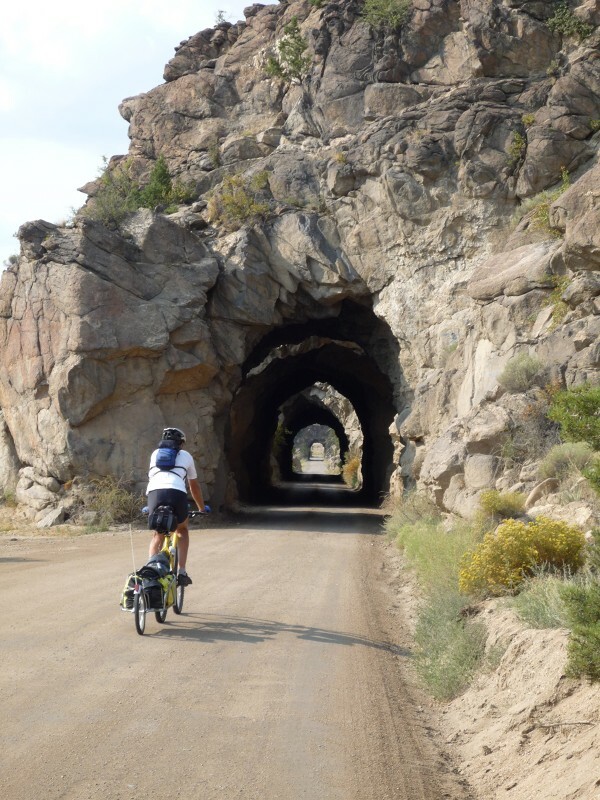 We took a dirt road out of Buena Vista that followed the Arkansas through some nice canyons and through these tunnels. 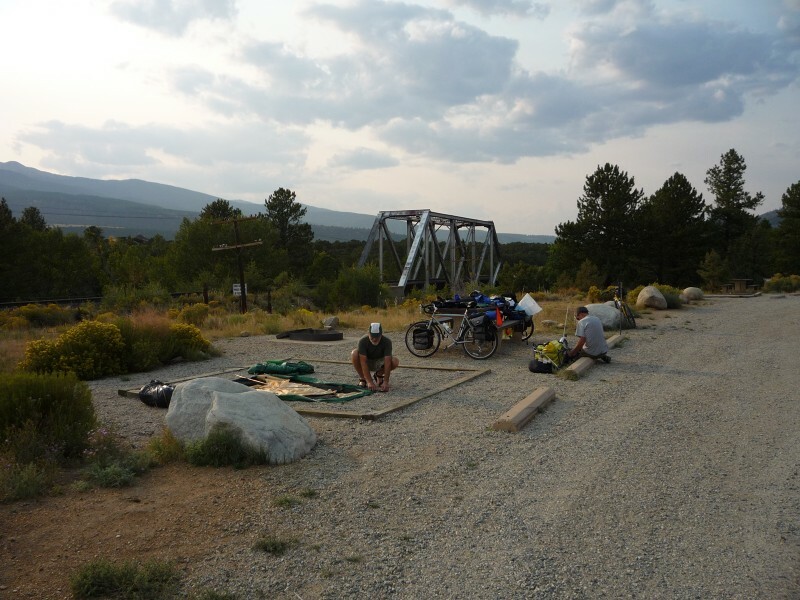 Our campground was at the Railroad Bridge on the abandoned Rio Grande tracks right on the Arkansas River. This section of the river is the take-out point for people running "the numbers", some class IV-VI rapids. We followed the Arkansas river valley from Salida to Leadville. Andy's house in Salida. He had a tenant so we just rode around back for the picture. Setting up camp at the railroad bridge. We had a better spot but then someone came and said he had it reserved, so we moved. 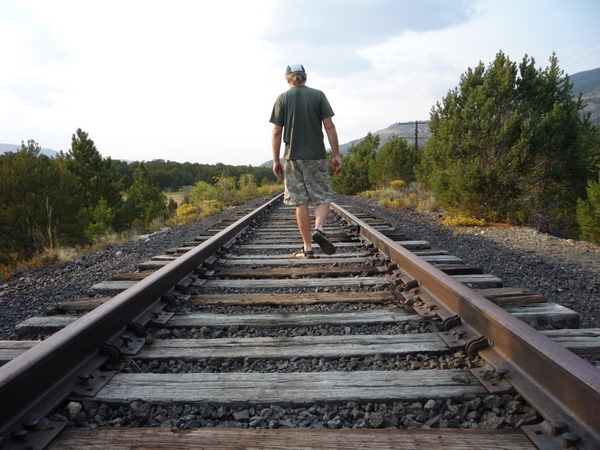 The rusted rails was an inspiration for a song that was coming to me over the next few days. 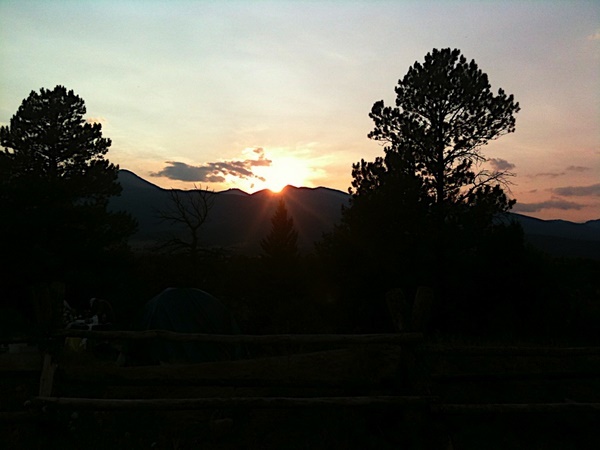 Another great colorado sunset over the Collegiate Peaks.